Can You Stay Awake For 50 Hours And Solve 150 Puzzles? MIT’s annual Mystery Hunt is a Riddler column come to life. CAMBRIDGE, Mass. — At the MIT Mystery Hunt, frightening screams are signs of progress. Last weekend, a New York Times crossword constructor and a game show champion sat together in a hallway on campus, watching their laptops play cartoon movies spliced with terror-stricken screams. The viewers’ faces were drawn with curious bemusement. Wheels were turning. So this is what it would be like if our Riddler column came to life, I thought. And, fear not, there are more puzzles on top of those puzzles. The answers to all of the smaller Hunt puzzles combine to form many abstruse and devilish “meta” puzzles, which in turn weave together to form impossibly fiendish “meta meta” puzzles, all of which is in aid of racing to find a special coin hidden somewhere on campus. The first team to find it wins, and the winning team’s only real prize is being allowed to write the puzzles and run the Hunt the next year. It’s the America’s Cup of puzzling. In the Riddler, we try to be explicit, laying out the parameters of the math puzzles as cleanly and clearly as we can. The puzzles at MIT, on the other hand, put the “mystery” in Mystery Hunt. 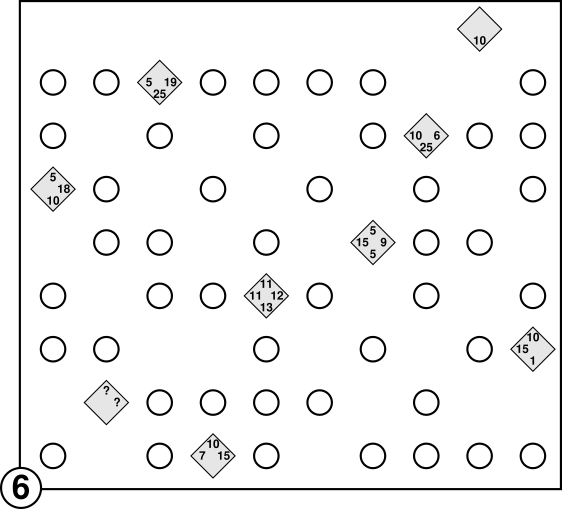 One meta puzzle this year, for example, required hexagons from one puzzle and pentagons from another, which together constructed a three-dimensional soccer ball. Then solvers used an interpretation of two other obscure clues about Rich Uncle Pennybags and Australia to identify certain faces at the soccer ball’s antipodes, which helped them discard red herrings from among the hexagonal spaces of a Settlers of Catan board. After doing one or two other things I never quite understood, a secret phrase was found: “IN A FORBIDDEN DESERT.” Indeed, I needed a drink. Down the hall from the screaming-video watchers were the two main solving rooms being used by a team called Palindrome, about 75 members strong, with which I embedded for roughly 52 straight hours of puzzling last weekend. (I slept occasionally. Many of the contestants did not.) The typical contestant was a man in his 30s or 40s with a job that is, broadly speaking, related to tech. Sixteen of team Palindrome’s members were women, and women like Jen McTeague, a math teacher, occupied some of the team’s key solving and leadership roles. If you had swept the room with an infrared camera, it would have revealed dozens of brains glowing red-hot, in every imaginable state between abject frustration and eureka-moment ecstacy. Running the Hunt is no mean feat, either: You’ve got to craft all the puzzles, of course, plus the meta puzzles, and the team running the show this year, named Life and Order (formerly Death and Mayhem) had 75 members working around the clock in 14-hour shifts during the Hunt. When I came to visit its nerve center, I found a scene reminiscent of Houston mission control during “Apollo 13.” On the wall was a projected leaderboard, digitally tracking the progress of every team, puzzle by puzzle. Palindrome was in the lead. Nothing — with due deference to the laws of the great Commonwealth of Massachusetts and these United States — is off limits at the Hunt. In the old days, solvers cold-called park rangers and hounded Bengali-speaking students to glean precious clues. Thomas Idzikowski, the Palindrome member with the longest history of Hunt participation, has been coming to the event since those pirate hacker days, back when teams weren’t even assigned rooms, and if locks needed to be picked, locks were picked — sometimes with an acetylene torch. Nowadays, phone calls and power tools have largely been replaced by laptops, iPads, computer code and the internet. Palindrome counts among its ranks a small strike force of programming ringers, consulted for the hairiest computer-centric puzzles. This endeavor, both puzzling and logistic, takes its toll. By the third morning, many solvers began suffering from what they called “Hunt Brain” — something between punch drunk and regular drunk, a state of half-sleep where everything becomes impossibly confused and hilarious. Everything the team members said seemed to make sense to each other; none of it made sense to me. It seemed only appropriate. Each Hunt has a theme, and this year’s began with the Pixar movie “Inside Out” and evolved to require teams to locate a fictional “core memory” hidden somewhere inside a cerebral cortex. “The whole Hunt is about hacking someone’s brain,” Joon Pahk, a “Jeopardy!” champ and puzzle maker, said. Maybe that brain was their own. They called it in. HQ called back. It was right. I’d never heard such happy cheers. What motivated all these bright souls to spend a sleepless weekend drinking bad coffee in a small room in icy Cambridge in January, away from children and spouses and hot showers and decent food, to rack their brains to solve frivolous puzzles? My guess: The Hunt isn’t really about puzzles in the end. It’s about tearing down an opaque and complicated world into its atomic component parts — letters, numbers, shapes, colors — and building it back up again into something new and surprising and beautiful. Puzzling shapes might become flag semaphore, and dots might become braille. Semaphore and braille become letters. Letters become words. Words become meaning. Willing meaning out of seeming chaos through sheer thought ain’t a bad way to spend a long weekend after all. I enjoyed my time at the MIT Mystery Hunt so much that I decided to bring some of its puzzles to Riddler Nation. Below are two puzzles from last weekend’s Hunt, followed by the solutions to last week’s Riddler problems. As usual, submit a correct answer for either puzzle,3 and you may get a shoutout in next week’s column. The answer to each puzzle is an English word or phrase — you’ll know it when you’ve found it. The language preceding the puzzle images is more or less the same as what Hunt teams saw. It’s known in Hunt-speak as “flavor text” — it both describes the puzzles and offers clues as to how to begin solving. You can also find some solving resources on the Hunt’s website. If you need another hint, find me on Twitter. Ugh! Dad says the computer will hurt my eyes, but I doubt that’s his prime concern. Time to see what requires such complex security. A pair of islands can’t be connected by more than two bridges. 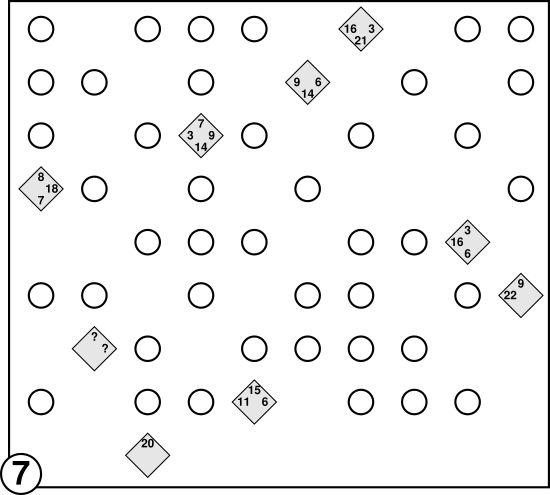 All the islands must be connected together in a single, contiguous group. In other words, the people on any given island need to be able to reach every other island, even if they have to take a circuitous route. 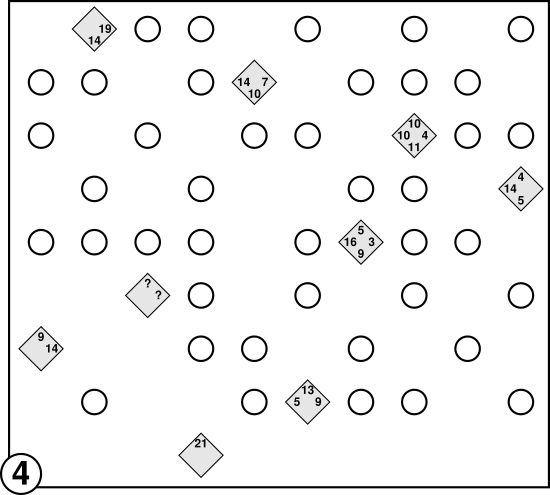 Each island (represented by a circle on the diagrams below) has a value equal to the total number of bridges that connect it to its neighbors. To connect the islands appropriately, you’ll need to follow the diamond-shaped signs sprinkled throughout this dystopia. Each corner of the sign corresponds to one of the four directions (north, south, east, west), and the numbers in those corners show the sum of the values of the islands that lie on a straight line extending in that direction. 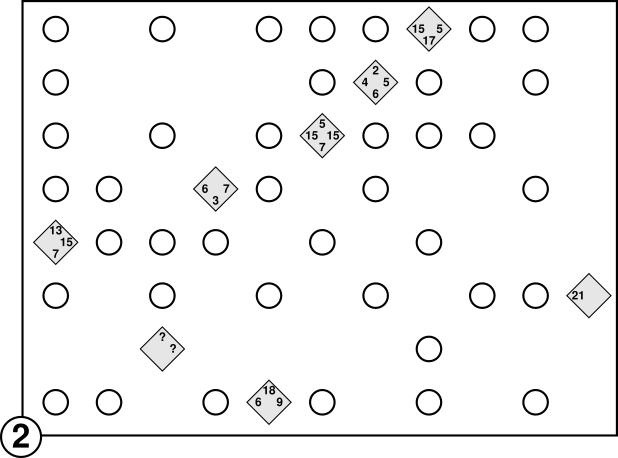 No value can be repeated within a single sum — for example, if the sum is 10, the values that make it up cannot be 5 and 5. The bridges cannot pass through the signs. One sign on each continent is no longer displaying numbers, and nobody remembers the whole layout anymore. How are we going to build the bridges? And wait, I haven’t told you about our plans for an intercontinental network. All the rules are the same, but the bridges will connect the whole planet! Congratulations to 👏 Erin Haacker 👏 of Lincoln, Nebraska, winner of last week’s Riddler Express! 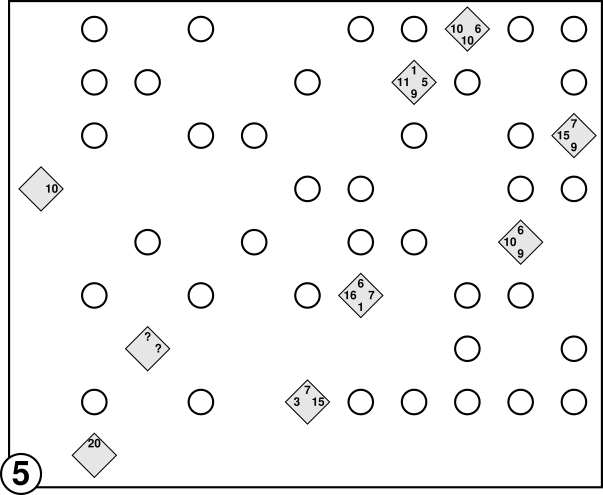 Choose three points on a circle at random and connect them to form a triangle. What is the probability that the center of the circle is contained in that triangle? It’s 1/4, or 25 percent. Here’s one way to get there: Pick two random points on the circle and call them X1 and X2. Then draw two diameters, which will by definition pass through the center of the circle, starting at X1 and X2. Label the corresponding points on the opposite sides of the two diameters X1’ and X2’. Now we’ve just got to pick our final point, X3, to make the triangle defined by X1, X2 and X3. This triangle contains the circle’s center if and only if X3 falls between X1’ and X2’. (Otherwise, all three of the triangle’s points would fall on the same side of a diameter.) Assuming the circle has a circumference of 1, the distance between X1’ and X2’ ranges between 0 and 0.5. And because the points are chosen uniformly at random, each distance is equally likely, meaning that the expected distance between the two is 0.25. So X3 needs to fall within a segment with a length of 0.25 on circle with a circumference of 1, which happens 1/4 of the time. Here’s a slightly different approach, as explained and illustrated by Laurent Lessard: First, pick two diameters at random. 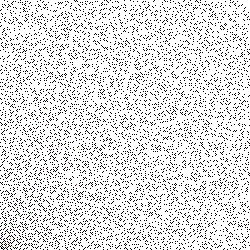 Second, for each diameter, pick one of its endpoints at random. 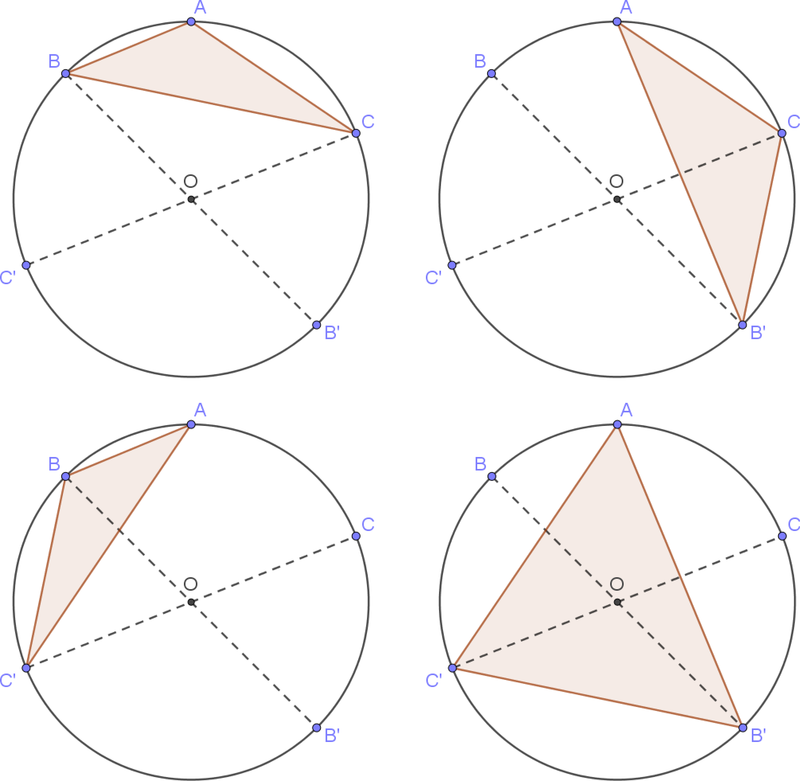 For each choice of two diameters (BB′ and CC′), there are four possible types of triangles you can make depending on which endpoints of the diameters are chosen: ABC, AB′C, ABC′ and AB′C′. One of the four triangles contains the center point, O. No matter which two diameters we select, exactly one of the four resulting triangles will contain the center point O. Moreover, each of these four triangles is equally likely because each choice of endpoint (B or B′ and C or C′) is equally likely. Congratulations to 👏 Jacob Knauer 👏 of Lexington, Massachusetts, winner of last week’s Riddler Classic! 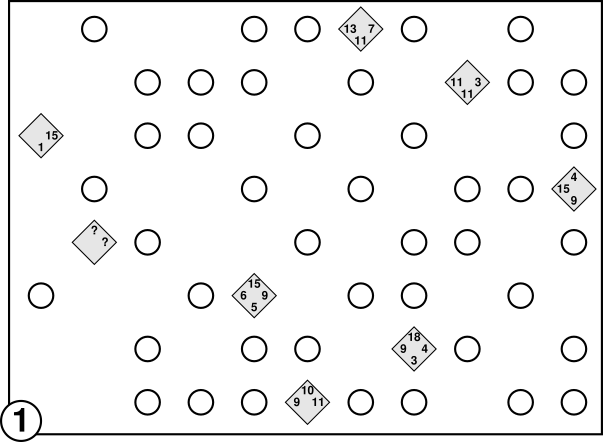 Choose four points at random (independently and uniformly distributed) on the surface of a sphere. What is the probability that the tetrahedron defined by those four points contains the center of the sphere? It’s 1/8, or 12.5 percent. The logic here is exactly the same as the logic in the two-dimensional triangular problem, as Laurent again explained. Start by picking your first point on the sphere at random. 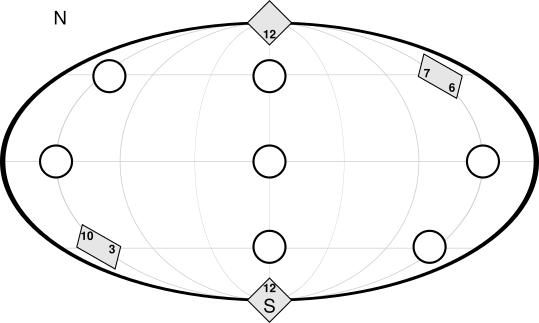 For simplicity, rotate the sphere so that that point is at the top, the “north pole.” Then pick three diameters of the sphere at random and one of each of these diameter’s endpoints at random. Exactly one of the eight (eight because we are choosing one of two endpoints randomly, three times, meaning there are 2x2x2 possible outcomes) tetrahedra that will be formed by these four randomly chosen points will contain the center of the sphere. CORRECTION (Jan. 19, 2018, 10:32 a.m.): An earlier version of this story incorrectly spelled the name of Puzzle 2 as Hashiwokakero. 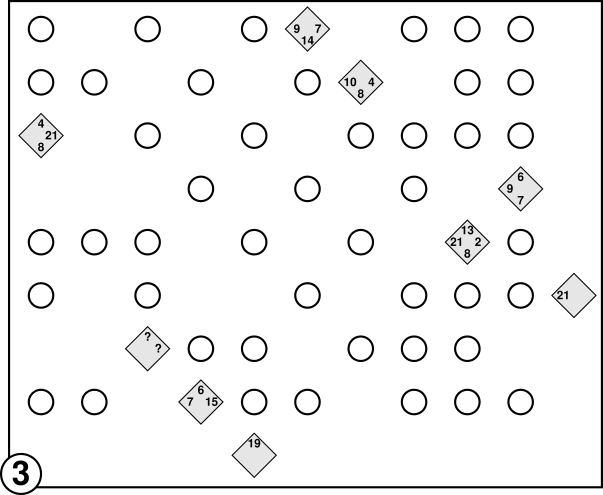 The MIT Mystery Hunt organizers dubbed it Hashiwokakuro, as it is a hybrid of two types of puzzles: hashiwokakero and kakuro. About 1,800 participants were solving on campus, while the other 1,200 solved remotely, pitching in from home over the internet. One needn’t be affiliated with MIT to play, although knowledge of the campus and its culture comes in handy.